I believe that good health is the foundation, a true building block, for our happiness. Striving for more money to buy a house and obtain more material things isn’t what brings happiness. 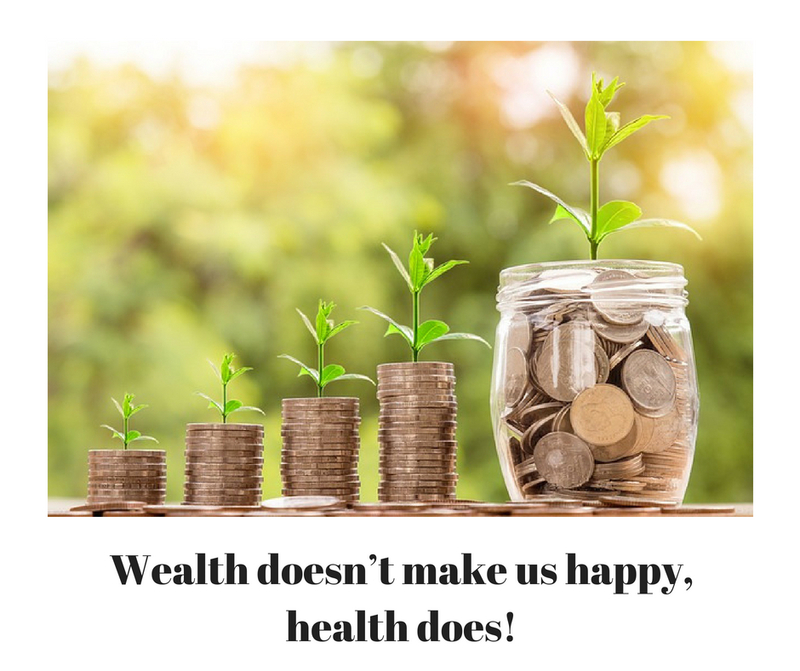 Our health is our wealth! We tend to buy, buy, buy in order to fill the void within. No matter how much we buy we want more and more. Its because material things (objects) don't bring us lasting happiness. When we nourish our bodies with nutritious foods that are full of natural vitamins and minerals, using supplements as needed, laughter and personal connections return to our lives. We find our tribe, develop romantic relationships, create a fulfilling career, and are able to participate in physical activity. We feel complete. Isn’t that what life is all about? For me it all boils down to happiness. Building a house on sand, even if the foundational beams are strong, is going to create a dangerous house to live in. Healthy nutrition sets a child’s body up for success… just like enrolling a child in dance lessons or a particular sport is setting their muscles up for success. The trouble is that without healthy nutrition we set our children up to fail.